The ultimate choice for finishing sheet metal parts from 10 up to 1200 mm wide. 5x faster deburring, easy to operate and with finish of choice. The Q-Fin Ultimate Set is a combination of the F1200 deburring and grinding machine (for parts up to 1200 mm wide), the F200 XL (for parts between 10 and 200 mm wide) and the WES6000 wet operating extraction system. The ultimate solution for finishing metal parts. 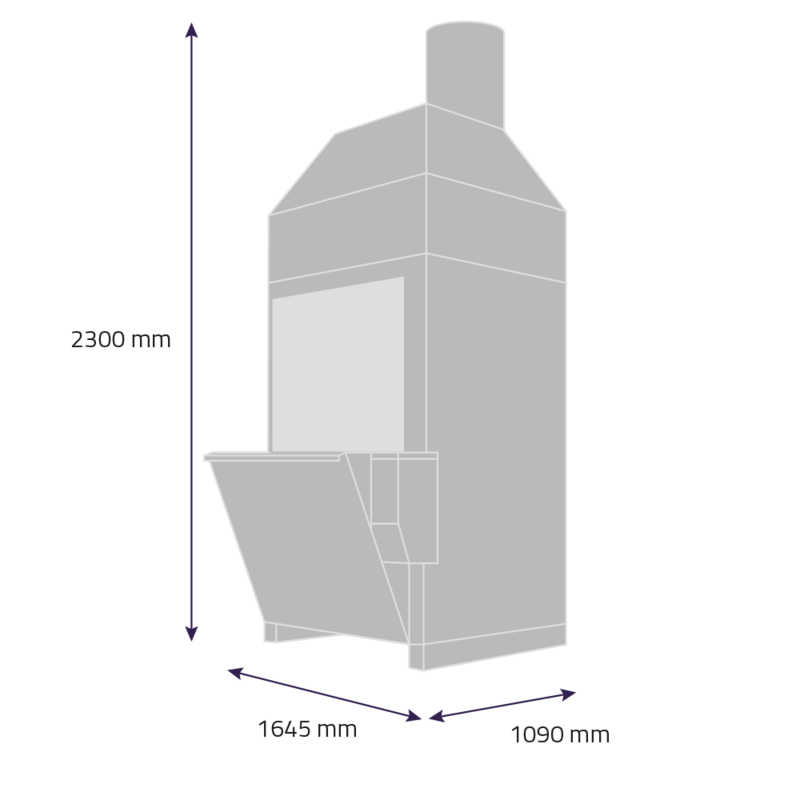 The F1200 is suitable for finishing sheet metal parts from 80 up to 1200 mm wide. Equipped with a vacuum or magnet system. 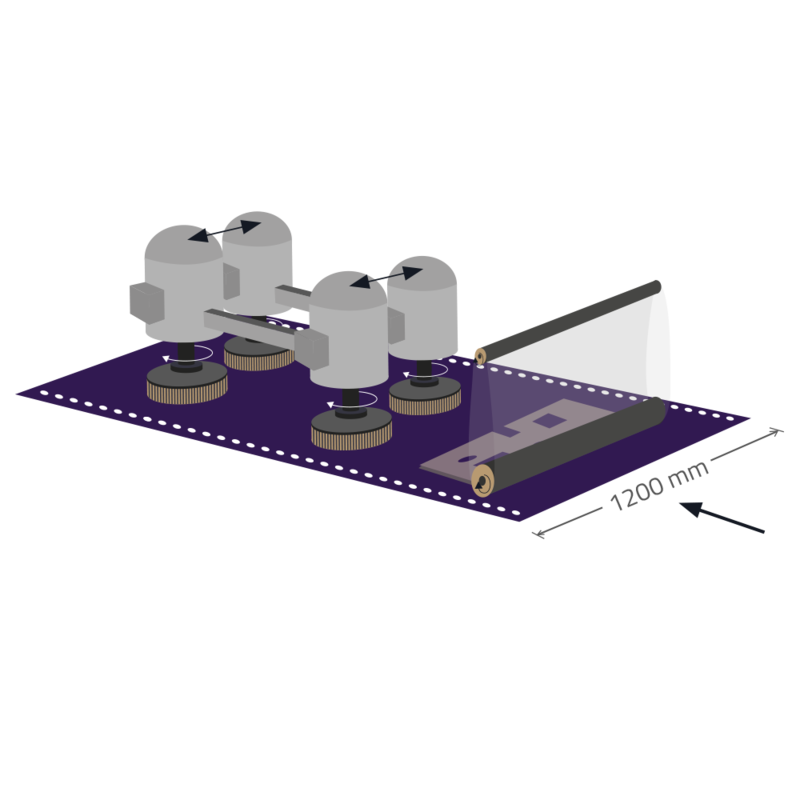 Minimum product dimensions 80 x 80 mm (for the vacuum version). The magnet version is only suitable for finishing steel and other ferrous parts. The vacuum version is suitable for the finishing of stainless steel, aluminium, steel and other non-ferrous parts. The F200 XL is specially designed to finish sheet metal parts from 10 mm up to 200 mm wide, equipped with a vacuum or magnet system. Minimum product-measurements magnet-version (suitable for steel and other ferrous parts): 10 x 10 mm. Minimum product-measurements for the vacuum-version (suitable for stainless steel, aluminium, steel and other non-ferrous parts): 20 x 20 mm. Both deburring machines can be combined with one extraction system. With the WES6000 from Q-Fin fire risk is excluded. With this wet-working extraction system you can extract grinding dust without the loss of pressure. The extractor is entirely made of stainless steel and has an extraction capacity of 6000 m3/h. With the WES6000 you also avoid the risk of explosion when grinding aluminium parts. 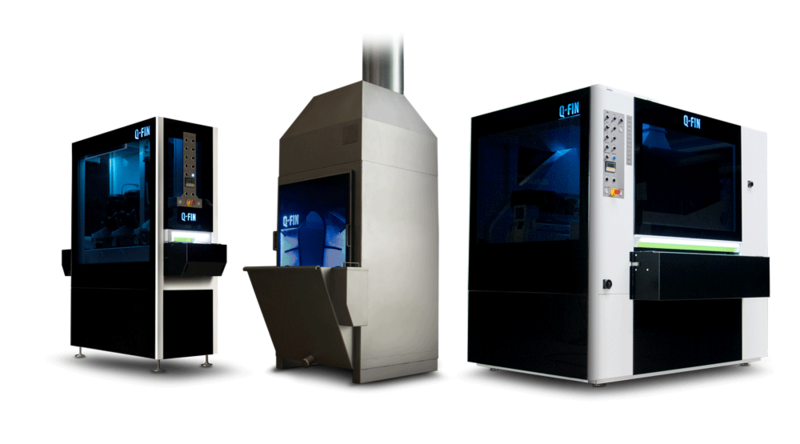 Q-Fin supports a small machine for small products and a large machine for larger products. The ultimate combination of these machines ensures that you can work with all common products between 10 mm resp. 20 mm and 1200 mm wide. The F200 XL is a 3 stations machine and is standard equipped with the brush-height tracking system developed by Q-Fin. 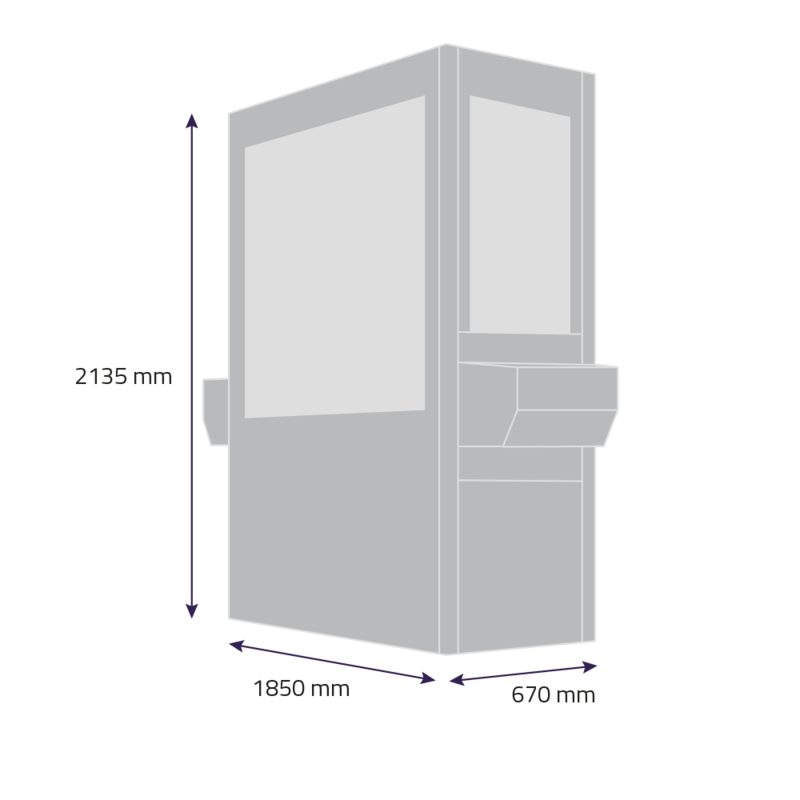 Combined with the simple button operation this ensures that the configuration and operation of the F200 XL is self-explanatory, resulting in the most user-friendly machine available on the market. Available with vacuum (VAC) or magnet (MAG) product fixation for your (non-)ferro parts. The machine is standard equipped with a free adjustable speed for the conveyor belt, the grinding belt and/or brush units, which makes it possible to perform all imaginable processes and to realise all imaginable finishing results. You decide on the desired finish yourself. 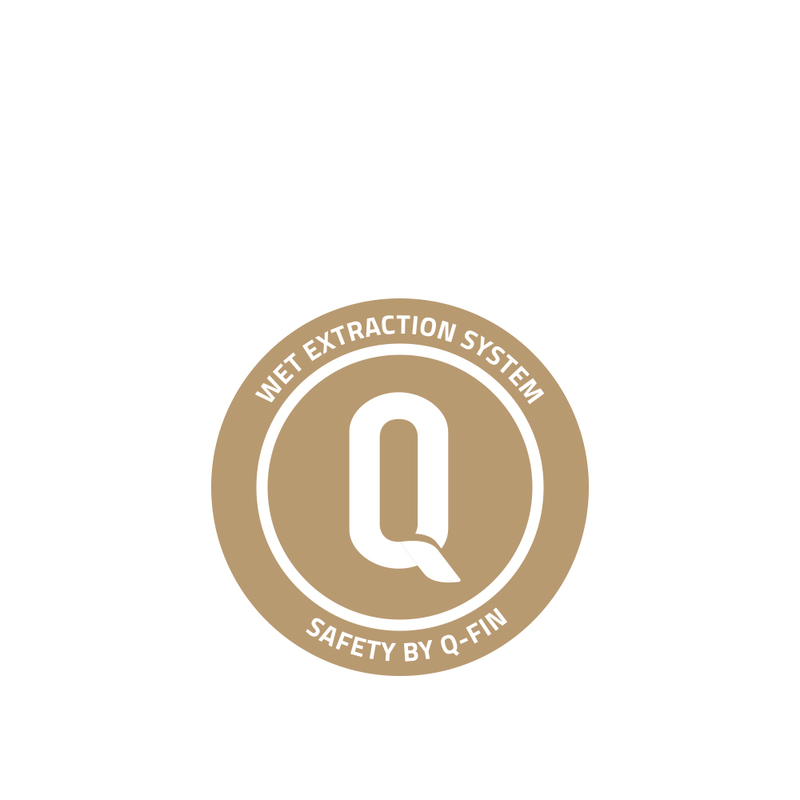 WES stands for ‘Wet Extraction System’ and is the easiest, safest and most sustainable way to extract grinding dust according to Q-Fin. With the wet-operating dust extractor, fire and explosion hazards are prevented. Your operators can work in a dust-free area. In many cases multiple deburring machines can be connected to 1 WES extraction system. You can connect both the F1200 and F200 XL to the WES6000. The WES6000 has a suction capacity of 6000 m3/h and that is more than sufficient for extracting the dust of both deburring machines. We can arrange the installation including tubing if required and train your operators on site. With the F1200 you can deburr, round edges and finish sheet metal parts up to 1200 mm wide. You determine the finish and degree of edge rounding. Depending on the materials to be processed, you can choose between a vacuum and a magnet system. The conveyor belt will be adapted to this. The first station of the F1200 exists of a grinding unit. The abrasive belt removes the burrs and/or incineration points from the product surface. You can decide yourself on the grain size of the abrasive belt, depending on the height and hardness of the burr. Standard there will be a grinding belt grit K120 on the deburring machine. If there are no burrs, you can leave the grinding belt switched off. 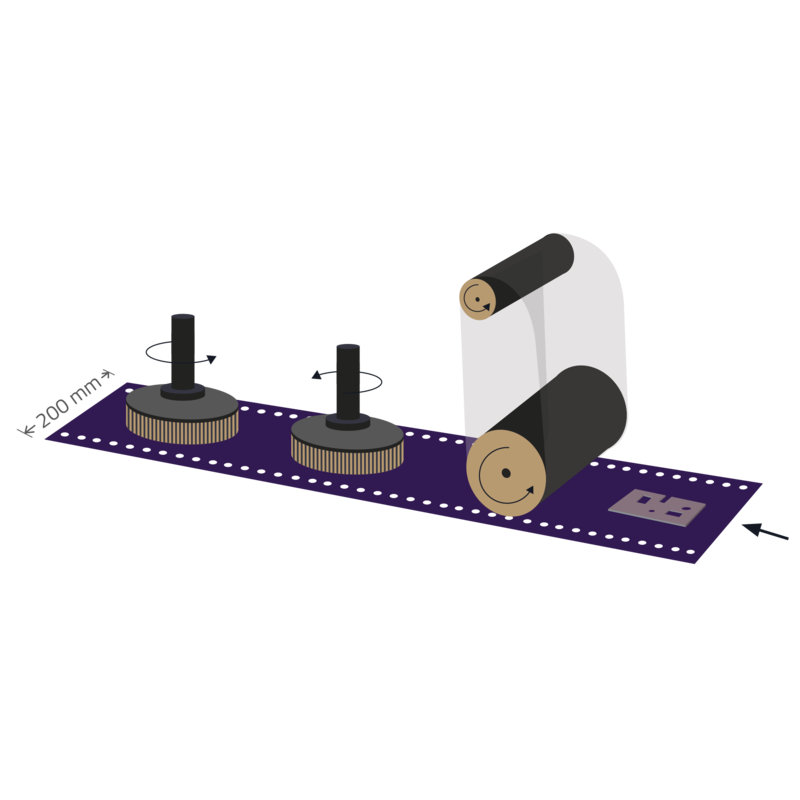 It is also possible to use a fine grinding belt (e.g. K320) for line graining your product or to finish it with a scotch brite belt. The second and third station is our so-called brush unit, fitted with 4 counter-rotating, oscillating brushes. This can break the sharp edges of the product and provide them with a large radius. You can also change the surface finish (e.g. more gloss / lower roughness value) by changing the type and grit of the brushes. By placing special brushes, you can remove the oxide layer or do slag removal on steel products when using the F1200-MAG with magnetic product fixation. The F1200 allows you to do multiple finishing operations in one pass and at high speed. More information about our machines?